28.08.2017. 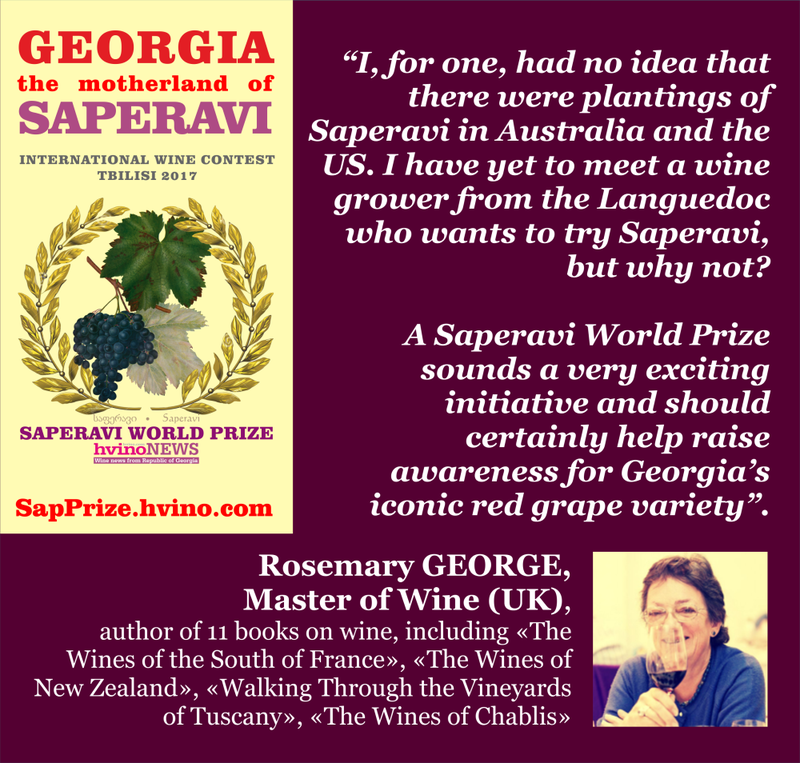 Rosemary George MW and Rod Smith MW are internationally renowned wine experts and Masters of Wine. In 2016 they visited Georgia and familiarized themselves with Georgia's rich wine traditions and range of products. 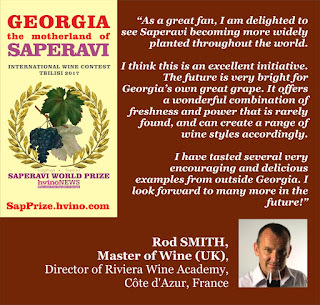 Afterwards, Hvino News has published interviews with them (see here and here). 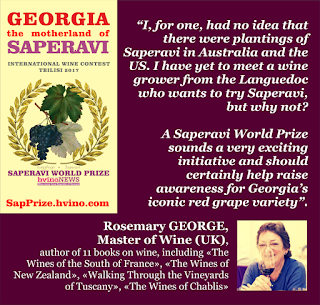 Today, we are happy to post opinions about our Saperavi World Prize by these Masters of Wine.